I participated in an Ambassador Program on behalf of Influence Central for Anheuser-Busch's Family Talk About Drinking Program. I received a promotional item to thank me for me participation. I found the topic of underage drinking to be a timely at this time of the year - graduations, proms, special dances - all signs of growing up, and all circumstances when a child might be presented with challenges and circumstances related to alcohol. 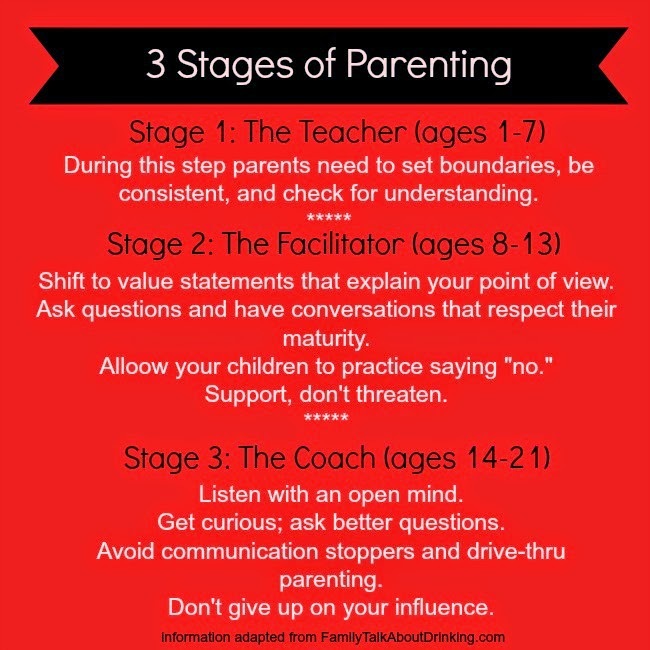 I thought parenting little ones was tough...and it is, but compared to the challenges, obstacles, and decisions kids face as they grow up, that seems like a piece of cake! Growing up, I remember alcohol being served at just about every event, party or family gathering I attended. I was always aware, wary, and responsible in my choices, it is just part of my personality - I am a rule follower and I do not like to get in trouble. As I grew older, the possibility that alcohol might be offered to me when my parents were not around grew. There were talks of alcohol, mostly pertaining to the dangers of drinking and driving. I am not sure if that was the extent of the discussion, but that is what I remember. Now, I have a teen and it is time to have serious talks about growing up and the pressures and influences of growing up in 2015 and beyond. At this moment I am confident in my sons decision making ability - for one, I pretty much take him every place he needs to go, and secondly, he has a very black and white sense of right and wrong. HOWEVER, I do not have my head in the sand...I know that this could, and may change at ANY time - friends/peers/classmates may be drinking and he may feel the pressure to "be cool" or fit in. Knowing that, it is my responsibility as his parent to educate him and teach him what is means to be responsible. With the help of Anheuser-Busch's Family Talk About Drinking program, I, we, will have the tools to talk to him and help him through these decisions. Anheuser-Busch has been facilitating the Family Talk About Drinking Program for over 20 years, with the goal to provide parents tips for having an open conversation about alcohol with their children. According to GfK Roper Youth Report, parents are the greatest influence on teens' decision making when it involves alcohol, and that influence continues to rise, as there has been a 24% increase in a parents influence since 1991. It is my chance, your chance to be the positive influence in your child's decisions. I will be 100% honest with you. 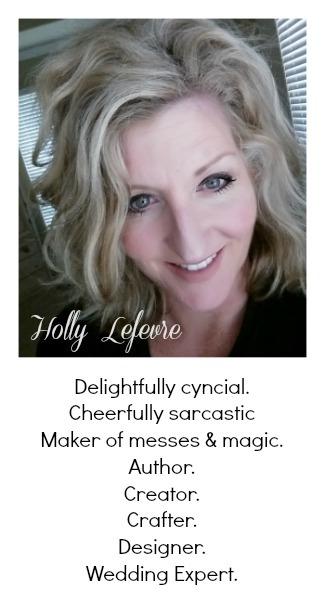 I love a glass of wine or a great beer...and occasionally some homemade limoncello or a margarita...and my kids know this and have seen me drink. I do however drink responsibly - one beverage and on occasion maybe 2 - and if they ask they are reminded that I am an adult over the age of twenty one who will not be driving anywhere. I try my best to be a good example for them, and am 100% open to answering their questions. If you have a tween or teen, now is a great time to begin a discussion with them about responsibility and underage drinking. When I was in school, I remember the kids who "partied" the hardest were the ones whose parents thought they were not drinking and/or chose to ignore the subject altogether. So in our house we are choosing to be open and have discussions. I already have and will continue to keep an open dialog with my son. I started my own research on the Family Talk About Drinking website and found there to be useful information for all age levels. While I felt like I was knowledgeable about this subject, I quickly learned there are approaches which can be more effective than the ones I grew up with or that I thought existed. From #ABFamilyTalk, I learned their are stages of parenting. I am definitely in the Coach phase with my son (although I also have a child in the Facilitator phase as well), and right now with graduations, proms, and other special occasions in full swing, I am focusing on how I can coach my child through dealing with potential alcohol-related situations with responsibility and thoughtfulness using certified educator and parent coach MJ Cochran's tips and suggestions as outlined on Family Talk About Drinking. Find Windows of Opportunity to Talk: Teenagers are all over the place - open one minute and chatty, closed off the next. When an opportunity to discuss serious topics, such as underage drinking come up, seize them and reinforce boundaries and encourage good decision-making, always, but especially during these end of the school year celebrations. I find my son wanting to talk at very odd times, sometimes when there is not time...but I know these moments are precious...so I seize the moment. Connect with Your Teen: Listen and respect your teen. When my son talks, I try to listen and not negate his opinion or ideas. If you listen teens are much more likely to talk, although in our case at the strangest times! Often I will need to sit with him while he plays a video game or have him take the dog for a walk with me and he will open up. Ask Open-Ended Questions: My son is already a boy of few words. If I ask him a yes/no question...I get a one word answer. Think about how to ask open-ended conversation-starting questions that encourage or invite your teen to ask question about underage drinking or scenarios involving alcohol. I will ask him question, such as " What would you do if you were at a friends house and you discovered he had alcohol hidden in his room?" Encourage Accountability: It is easy to send a text, saying "I am at a friends house" or "everything OK." That is not enough. It is easy to text that, but to say it over the phone is a different story. "While the national drinking age is 21, it's the parents responsibility to understand their local laws." "It is never too late or too early to start the conversation!" "If you suspect your teen is drinking, its important not to attack or make accusations. Address her/him in a neutral tone and setting - then based on your house rules, decide on the proper consequences for her/his actions and ways of handling alcohol in the future." After reviewing this information, I will continue to make time for my son. In fact we have a "date" this weekend. I am going to let him pick the restaurant, but I will be bringing the topic of discussion. I am going to work on implementing the important factors of the Coaching phase...and I am going to really listen...and I am going to be honest with him if he should have any questions about my experiences. I think it is important for gaining trust. When it is time to talk to your child about drinking, give them your full attention and some one-on-one quality time together. And to help you do just that, here is a giveaway for a $25 e-gift card. "Contest entrants are only eligible to win once per sweepstakes, per household as part of the campaign sponsored by Influence Central." This sweepstakes is held on the rafflecopter widget. Please follow the directions. Be sure to Like the Family Talk About Drinking Facebook Page. Or explore the hashtag #ABFamilyTalk for more insight. I don't have teens yet (lucky me! ), but I do think a lot about them growing up and going through situations that I went through as a teen and how I'll talk to them. I think I'd be open and honest with them about what I experienced and encourage them to be strong individuals and not give in to peer pressure or not to do things becauss everyone else is trying to act like it's cool. I want them to know there are real consequences for any behavior like underage drinking or even excessive drinking and that it is okay to have a drink when it is done legally and responsibly. My kids are under 10, I will use this gift to get them some juice at Jamba Juice. I would take my 12 year old out for ice cream and have a talk. I would take my out to lunch and have a conversation with him about this important topic. We could go out to lunch together and talk. I would take my son out for pizza so we could chat. I would use this gift card to take my daughter and grandson out for ice cream so we could have a nice conversation. I will talk to my son at his favorite hamburger place and discuss the perils of drinking underage! I would use to to go out to lunch. I would go for lunch at a diner. I would take my nephew to a ball game and have the talk. I would take them out for lunch to talk. I could take my son out to lunch and talk to him. I would use this gift card to take them out to lunch to talk to them about drinking. My teen loves Wendy's. I would take him to lunch. Oh I would love to take him bowling and then out for dinner! I would take them out for lunch at there favorite spot and have the talk. We'd go out for breakfast. I would talk to my son over lunch somewhere. Well, I have actually talked to both my 12 year old twins at home and they have talked about it many times at church as well. I would take them to get ice cream to talk!